Selected projects from the open call promoted by ACVic Centre d'Arts Contemporànies with the collaboration of VIT Vic Innovació Tecnològica. These projects have been selected for their suitability within the framework proposed in the call, for their conceptual interest and their feasibility, as well as for their suitability in fulfilling the Nursery's educational aims; by the projects' participants contributing mechanisms for the communication and sharing of knowledge, and also by demanding the specific training needed to carry out the work. The selection committee formed by Mabel Palacín (Artist), Anton Granero (Designer), Antoni Mora (economist) and Ramon Parramon (ACVic director), has selected these three from the 35 proposals submitted for the Project Nursery which will be developed in 2012. What is the project nursery? It is a space for research, training and pre-production which works by establishing a programme of temporary residences, accompanied by trainers and tutors in order to find ways to define,develop and implement projects. It combines technical training, and instruction, understanding the process of planning as a practical phase with the support of experts and collaborators, both involving the participants in a two-way process so that everyone also participates as a trainer. It aims to develop a means of training to transmit and share knowledge in order to carry out a project. The purpose is to provide work space, training, technical and conceptual support, and to give visibility to projects, finding ways to bring them to a conclusion. The nursery is based upon three concepts: shared work space, with the possibility of co-producing projects among residents; assessment and monitoring of production and distribution; and, ultimately, guidance in, or the facilitation of, the search for project funding. This last part may combine different strategies in seeking funding for the hosted projects. ACVic, in conjunction with VIT, attempt, through this programme, to test the combination of these three implicit phases of experimentation and idea-generation, i.e training, production and financing, in order to promote projects based on self-management. The aim of the programme is to make this an empowering combination, accompanying the participating projects in the achievement of their objectives at all levels. This project is the first phase of an extended documentary about the reconversion of the districts of Bilbao La Vieja, San Francisco and Zabala in Bilbao. This is a collaborative digital archive and a tool for online video viewing through the deployment of files which will form part of a navigable map. Through a combination of the video and the map, users will be encouraged to document and trace routes which, by cross-referencing them on the map, will describe shared spaces. The goal, on one hand, is to set up a joint archive providing several re-readings of the history (stories) of a space and its transformation. And, on the other hand, to allow the visualisation of intersecting paths in a traditional place in the process of gentrification, which increasingly leaves fewer nodes of confluence. The project may be adapted for other neighbourhoods. A project dealing with the creation of, and research into, collective processes of scenic arts in public space. The principle framework for the project will be the relationship and dialogue established between the project's participants: artists, volunteers from the Aula de Teatre de la Universitat de Vic and the City of Vic. 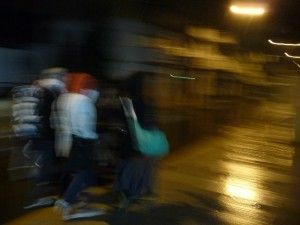 The project aims to create a street-show, born from the idiosyncrasy of the place where it will be performed, and which uses the power of street arts as a context for stimulus, transformation and self-representation in the service of the inhabitants, the undisputed experts in their own locality. We would like to to dialogue with the space, starting with the pressing or arising needs, and we would like to help promote artistic practices which promote this line of research. Team: Eva Marichalar, Gerard Guix, Jordi Lafon and Aula de Teatre de la Universitat de Vic. 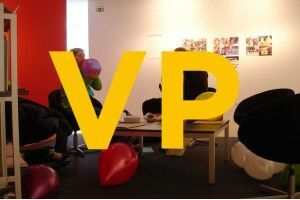 A curatorial office operating within different fields of activity including research, cultural management, production, self-management, and also promotional activities including debates, seminars, exhibitions and educational actions involving the community, bringing greater visibility to artists' work. On the one hand it is intended to present particular exhibition projects and apply to calls to work which follow certain lines of research, while on the other hand, we aim to organise active participation around arts events, to undertake debates about particular lines of discourse and seminars for explaining the tasks undertaken by both curators and artists who will join us in our projects, opening up their modus operandi and presenting to an interested audience the main tasks which, in our opinion, shape the practice of a curator. Studied journalism at Santiago de Compostela, motivating her interest in non-fiction and documentary. From this arose projects such as Xogan Brancas Gañan, O Pilot, a single channel documentary about the flight of the last resistance fighters killed in Galicia. Student of image editing and sound at Bilbao, where her interest in visual experiments, video remixing and video networks started to grow. This enthusiasm spilled over into projects such as Ollomakina, a hybrid single channel video on the perception of the advance of the city CCTV from a body affected by the hormonal contraconceptive pill, or BURAC0S, a visual remix of the hypertext Zeros + ons of Sadie Plant. In Barcelona, ​she graduated in Master of Creative Documentary and Digital Arts at the UPF. 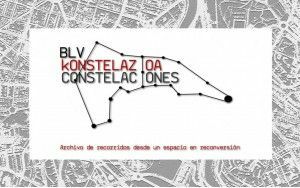 Together with Maria Salazar and Ollomakina team, she created the prototype of Constellations, an expanded documentary on the conversion of Old Bilbao. In parallel, and with Estefania Sanchez and Roger Olivella, she developed Haik-us, an interactive application for mobile devices to generate and read geolocated haikus. Lives and works in Bilbao. I graduated in Comunicació Audiovisual at the Universitat del País Basc. I am interested in video, performance, rebel narratives. Since 2007 I have worked as a member of Consonni, a collective for the production of contemporary art, where I took an interest in immaterial projects. Meanwhile, I work with the group Pripublikarrak in the production of various projects. At present, I combine the production of artistic projects with audiovisual works that oscillate between videocreation and documentary. 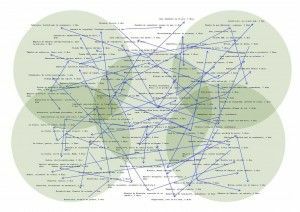 In addition to the Project Constellation BLV, there is a draft paper on the professionalisation and growing precariousness in the world of art, as well as various projects in collaboration with video artists. Artist, educator and lecturer in the Departament de Didàctica de les Arts i les Ciències de la Facultat d’Educació, Traducció i Ciències Humanes de la Universitat de Vic. Since 2003, she has been part of the management team of the Aula de Teatre of the university. In recent years her work has focused on projects which join together the fields of art, education and public space, a line which is also the central interest of her doctoral studies. Collaborates with the Pla de Barris projects in the city of Vic, and participated in the training programme of Fira Tarrega 2011, conducting a workshop of creation in public space "Private Rage in Public Spaces." She was a member of the creative and directing team of the show La guerra d’A. Soler, a project framed within a search for unconventional spaces of representation, currently produced and interpreted by the company Microcosmos Teatre. Is a writer and playwright. He has published the novels La deriva dels continents (2005) and Dia de caça (Columna, 2007). He is also author of the novels for young readers El prodigi i L’Enginy (Estrella Polar, 2011). His work as a playwright includes Gènesi 3.0 (Premi Fundació Romea de Textos Teatrals 2006), which had its premiere at the Festival Grec de Barcelona, and the piece in three languages U, Due, Três, (Special Mention from the jury of the XV Mostra de Teatre de Barcelona) by the group Jogijo represented also in Portugal and Italy. For Tot el que hauries de saber abans d'estimar-me (Columna, 2011 / Suma de Letras, 2012) he was awarded with the Premi Pin i Soler de Novel·la. Is a visual artist, whose work fits into the context of VARIABLE landscape understood as a scenario of possible narratives. Often, these narratives take the form of a collection or compilation, from which qualities such as order, disorder, cadence, chance and chaos emerge. The drawings, paintings, objects, photographs, videos and projects establish a relationship between people and their environment, between the present and memory, between the gesture and stillness, between a way of looking at and a way of doing. His main wish is to make the ephemeral and everyday become revelatory. He curated, along with other artists and art critics, several editions of the biennial show Thambos. He has received several awards in painting, small sculpture, installations and art projects in Catalonia and England. He has executed projects, exhibitions, collective actions, installations and stage sets in Catalonia, Basque Country, Valencia, Madrid, Palma de Mallorca, Paris, Languedoc-Roussillon and Bedford (England). Art curator. She has been curator and coordinator of several exhibitions at ESPAIDOS – Sala Muncunill Hall( Terrassa), Tasneem Gallery in Barcelona, ​and exhibitions at the 8th and 9th Biennial[s] of Havana. She has participated in events such as Open Portfolio Days I and II (projects submitted by members of the Independent Studies Programme at the MACBA in Mataro), has coordinated and produced the Residency Programme Batiscafo (Triangle Arts) in Havana, has worked as assistant curator of the 3rd Berlin Biennial under the artistic direction of curator Ute Meta Bauer, and was assistant curator at Baltic, the Centre for Contemporary Art in Gateshead, England. She has been the coordinator of the Meeting of Theory and Criticism during the 7th Biennial of Havana and has collaborated with several international institutions such as the Department of Art and Design at the University of Miami, and the Royal College of Art, "FAIR" in London. She was awarded with the Premi de Curadoria Terrassa Comissariat de l'any 2011. Art curator. Her work has focused for some years on developing and coordinating activities including workshops at the Centre of Photography in Caracas, organising exhibitions for the Fototeca of Cuba, the Casa de las Americas in Havana, the Paris Photo Month, Guatemala's Foundation Paiz Festival, the Metis gallery in Holland, the Spanish Cultural Center in Havana, the Open Gallery at the fences of Chapultepec in Mexico, and she has been arts assistant at artistic events such as the Biennial of Havana. She also has experience in handling both private and public collections, and has served as an academic research tutor, art critic and author of participating research in conferences such as the Congress at the University of Toronto's Transformative Learning Centre in 2009, or the University of Rosario's International Congress in 2010. In 2001 she received the Curational National Prize awarded by the Consejo Nacional de las Artes Plásticas de Cuba. Graphic designer and director of the design studio Eumogràfic based in Vic and Barcelona. He was Professor of Design at the University Pompeu Fabra in Barcelona (1996-2009) and at the University of Vic (2004-2006). He was a member of the board of ADG-FAD (Graphic Designers Association). He has been on the editorial board of Transversal, journal of contemporary culture, and is currently on the editorial board of Reduccions, poetry magazine. He was president of H. Association for Contemporary Arts (1992-2002). He has displayed several exhibitions of photography, and has published his design works in journals and magazines. He has published the books Llibres, marques i cartells, Pneumàtics, Itineràncies i Manresa Vic. Retorns d’un retorn. Graduated in Economics from the University of Barcelona. He is currently working as Local Development officer at Vic City Council, and as a professor at the University of Barcelona, ​​also teaching the Master in Cultural Management at the UB. He was an advisory member of the contrast group for the municipalities' cultural management indicators project on behalf of the Department of Culture of the Generalitat of Catalonia. Founding member and director of the Catalan Association of Accounting and Management. BA in Art History and Film, photography and video from the University of Barcelona. She currently works between Barcelona and Milan. Her work deals with our relationship to images, and how these images mediate our perception of reality. From the start of her career, she has taken ​​photographs, made videos and installations, demonstrating the image, as well as its unstable qualities, by using a multiplicity of formats. In her works, since reality is mediated, nothing ever happens directly, neither characters, nor objects act directly, but always by taking a detour which leads images to present alternative realities. In 2011 she represented Catalonia and the Balearic Islands in the 54th Venice Biennale, her work has been shown at the Salvador Dalí Museum in St. Petersburg, Florida, at the Museu Colecçao Berardo in Lisbon, the Museu Empordà in Figueres, Casino Luxembourg Forum d 'Art Contemporain in Luxembourg, OK Centre in Linz, MACBA in Barcelona, Museo Patio Herreriano in​​Valladolid , Künstlerhaus Palais Thurn und Taxis in Bregenz, Reykjavik Art Museum, Kunstbunker Tumulka in Munich, Kwangju Biennale, Norwich Gallery, Centre d'Art Santa Monica in Barcelona, MUA in ​​Alicante and Galerie Lothar Albrecht in Frankfurt. Director of ACVic Centre d’Arts Contemporànies since 2010. Has directed since 1999, a collective project which has served as a vehicle for his practice as an artist. From 2000 to 2010 he led the postgraduate and master's degree teaching programme at Elisava (IDEC-UPF). He has participated in and organised several seminars, workshops and debates on art and social space, subjects on which he has written several articles. His work is developed with a clear interest in multidisciplinary projects, and in the functions that art can play in specific socio-political contexts.